Mind mapping is a technique that helps you to work more efficiently with both sides of your brain. Even though we read, talk, and write in a sequential and linear fashion dominated by our left hemisphere, our insights often come from our intuitive, comprehensive right hemisphere. So mind mapping allows us to work in both a linear and radial fashion. It stimulates us to use our strong visual memory and to literally see connections we might miss if we just made traditional notes. In mind maps, you show topics, tasks, or any item you need to represent in orbit around a key word. 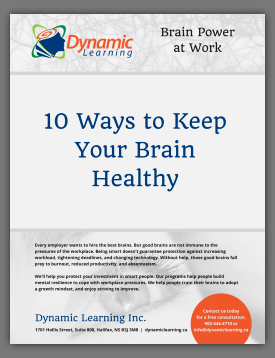 They’re great for allowing us to generate or capture ideas quickly – to brainstorm by ourselves if need be. They’re also a great tool for visualizing our ideas, as well as organizing them. They help us to prepare to write, to give a talk or speech, to solve problems, and to do research and study. In the 1970s, Tony Buzan introduced and promoted the mind map as a way to help people make more useful notes. Because it works well, it has become a popular technique used around the world. 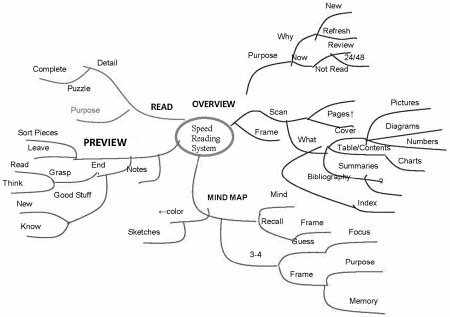 Mind mapping allows you to capture your thinking on paper as quickly as ideas come to mind. While you’re building a mind map, you can see the topic unfold and this helps you to quickly identify and understand the structure of different concepts within the topic. Mind maps encourage creative problem-solving, as they hold information in a format that your mind finds easy to remember and quick to review. Since you can get a lot of information on one piece of paper or one computer screen, you can use it for project planning and for gathering information from several sources.